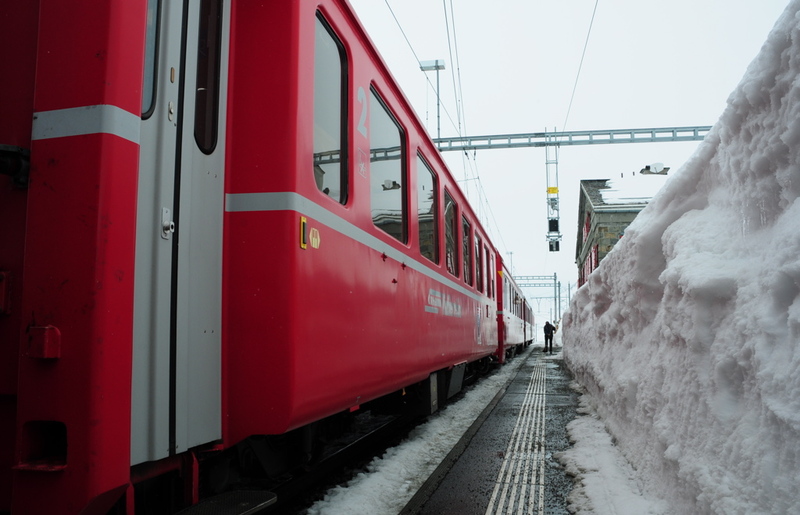 Switzerland is known for having great mountains, and for having some decent trains too. This made it seem like a pretty good idea to take a train to the highest train station we could find, the Bernina Express. 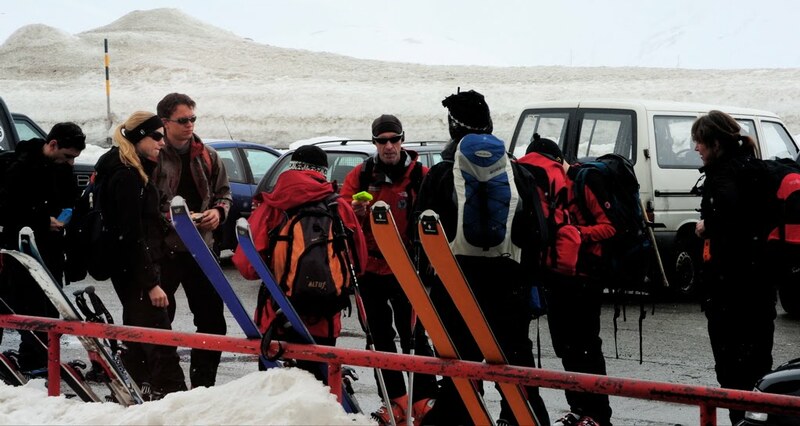 We arrived at the pass, Ospizio Bernina, for lunch and discovered a lot of snow and fog but not a lot of action. There was that guy sweeping the platform, but that doesn't really count. It turned out that there was a hotel or two located a couple hundred meters above the train station. There we found a tasty treat and some beer, but more impressive were the ten or so groups of Germans receiving backcountry skiing and avalanche instruction before heading up the slopes with guides. These groups were surely just doing a little exploring, because tackling Piz Bernina (4,049 meters) is a serious undertaking.